← A Great 2011 … and More To Come! 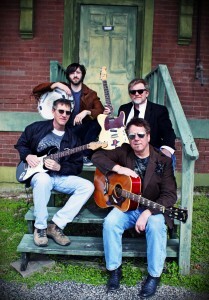 Join Longneck Road for a Great 2012! After opening shows for Ronnie Milsap, Chuck Berry, John Anderson, Paul Thorn, and Wayne Toups in 2011, big things are on tap for Longneck Road in 2012! The band performed on the main stage at the Southeast Texas Mardi Gras on February 16, 2012, was featured on the King of The Road television show on Fox, and has several events and shows scheduled, with more to come! Longneck Road has supported the Beaumont, Texas, Girls Haven and Boys Haven causes for several years, and will perform at their fundraising events again this year. The band continues to work on its second album, which should be released in 2012. Check our calendar for new shows, “like” us on facebook, and keep on rollin’ down Longneck Road!